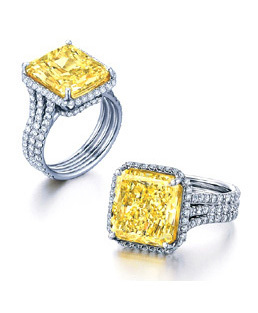 Estate Jewelry Collection is unlike any other jewelry store because of its commitment to value, beauty and workmanship. We believe in serving the individual. Using the latest in technology with the best craftsmanship in the industry, we bring high quality merchandise to today’s modern women. Estate Jewelry Collection features an extensive and distinctive selection of time honored fine jewelry and estate treasures. Each piece is crafted and showcased for its rarity, beauty, craftsmanship and value. Estate Jewelry Collection also specializes in custom design pieces, redesigning of personal and treasured family heirlooms and engagement and wedding bands. With us, you’re dealing with the designer himself! In-house designer, Kevork S. Aposhian GG (GIA), ASA, NAJA, AGA is a third generation jeweler known for his creations of one-of-a-kind pieces in natural fancy color and white diamonds. As a true artist and designer, he marked his name in the industry as a pioneer of invisible settings—one of the first designers to introduce the beautiful craftsmanship to the United States. Over the past three decades, Kevork’s passion for the business has caused it to evolve into an internationally-known design and manufacturing house. Kevork’s signature line has always been acutely innovative and superior in its class. It is with this artistic and creative culture that Estate Jewelry Collection is known as a reputable and distinguished business exclusively serving high-end retail stores and private customers all over the United States.